If eBay is the modern equivalent of a local auction house - complete with commission and fees, then Gumtree is the equivalent of taking out a free advert in your local newspaper, or putting a notice in the newsagent's window. The fact that the site is free, and many buyers are local, means that it's often used to shift unwanted junk at a knock-down price. However, this doesn't mean you should shove in a quick advert - dashed off in a moment - and accept that you won't get much cash for your junk. Over a third of the population uses Gumtree, so you have a huge audience, and someone out there will be willing to pay a decent price for your things - as long as you get to know the five selling secrets of Gumtree. The site has revealed its advice to sellers. People don't tend to buy a new coat or pair of trainers after looking at it from just one angle, so you shouldn't expect someone else to buy what you're selling if you have a single image of it. Gumtree statistics show that the more pictures you have, the more views you'll have, and the more replies you'll get. It's not just that it helps people understand what they are buying, the site says it builds their trust in you as a seller too. This doesn't tell anyone anything they need to know about the age and condition of the actual item itself. It also raises suspicions about you as a seller - as they have no proof you own the item at all. Given that there's a Gumtree app that lets you take a photo on your phone and upload it, there's no real excuse for using a generic shot either. Gumtree is designed to let you have a conversation with your buyers, so some people will expect to be able to negotiate. You can take into consideration how quickly they'll be able to pick it up and whether they can come at a time that suits you when you're deciding whether or not to offer a discount. The pictures will do some of the work for you, but the description does three things that a photo can't. It lets you be very clear about the item and its specification; it lets you show a bit of personality in order to attract more interest; and it lets you pack the description with keywords, so it shows up on thousands of searches. There are 1.9 million things for sale on the site at any one time, so this is your opportunity to stand out. It's a simple way to upload items, and keep track of conversations you are having with buyers. 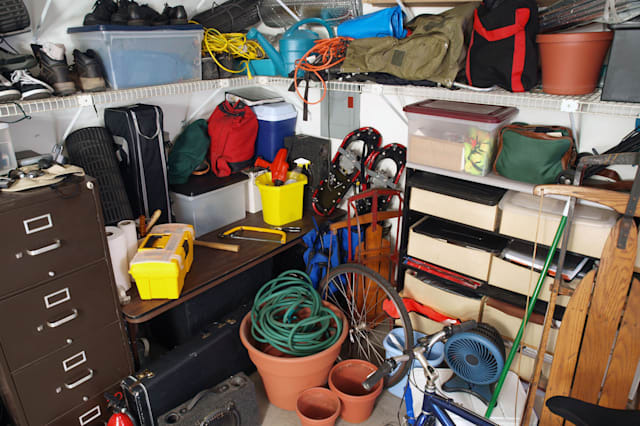 If you're trying to clear your clutter as quickly as possible, this can speed up the whole process dramatically. The most expensive watch ever sold at auction fetched just under $24 million in November 2014. The gold pocket watch was made by Patek Philippe, and is the most complex ever made without the use of computer technology. The Henry Graves Supercomplication was commissioned in 1925, and took eight years to make. The world's most expensive stamp sold at auction in 2014 for over $9 million. The British Guiana One-Cent Magenta is as rare as a stamp can get. British Guiana was one of the first countries in the New World to start issuing stamps, but in 1856, they ran out, and asked the local newspaper printer to produce extras. There were two denominations: the four-cent, which is very rare, and the one-cent - of which only one has ever been discovered. In May 2015, an anonymous London businesswoman snapped up the licence plate KR15 HNA for £233,000, making it the most expensive standard number plate ever to be sold in the UK. Queen Victoria's bloomers sold at auction for £6,200, along with a pair of her silk stockings. They have a 52-inch waist, and belonged to the monarch in the 1890s - "towards the end of her life when she had eaten a lot more than most people could afford to," said auctioneer Michael Hogben. In today's sizing, they'd be a size 26. In 2014, a three-year-old slice of cake sold at auction for $7,500 (£4,800). The reason the stale cake was in such demand was that it was from the marriage of Prince William to Kate Middleton in 2011. The buyer said he intended to give it away as part of promoting his Silicon Valley start-up. A British coin sold at auction for a record-breaking £430,000 in 2014. After fees, the buyer paid £516,000 - making it the most expensive modern British coin ever to be sold.